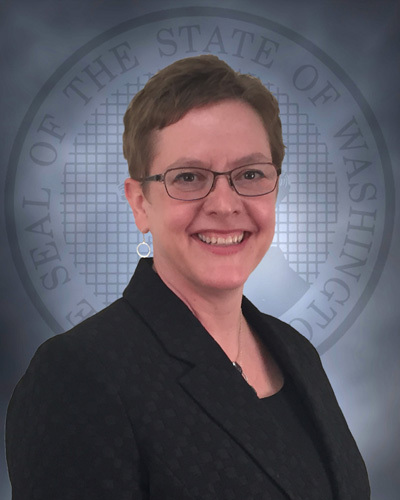 TUMWATER – Jody Becker has been named as the deputy secretary of the Washington State Department of Children, Youth, and Families (DCYF) by DCYF Secretary Ross Hunter, effective March 16, 2018. Becker started with Corrections in October 2013 and was appointed deputy secretary in October 2015 by then-Secretary Dan Pacholke. During her tenure with Corrections, Becker has been responsible for the creation of the annual Kids United By Incarceration (KUBI) camp and further development of the family and stakeholder outreach. Most recently, she’s overseen human resources, communications, performance management, correctional hearings, implementation of the Advance Corrections’ continuous case management project, and research and data analytics. She received the Governor’s Award for Leadership and Management in 2015.